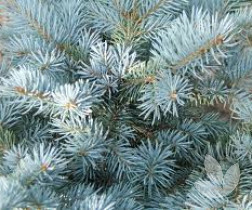 A shapely bush, young growth is soft blue-green turning to light green with age.Its leaves ar long stiff needles and grey bark. It has a large, broad, pyramidal habit. 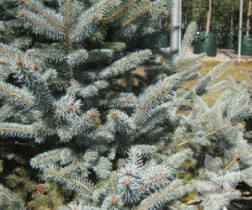 Doesn't require any pruning or staking for a good shape, unlike a normal blue spruce. This is a feature tree for small gardens, rockeries. Great for pots due to its great form and beautiful colour. Prefers a humus rich soil.Tolerates some drought and air Pollution.